Clive Davis and The Recording Academy will present the annual Pre-GRAMMY Gala on Saturday, Feb. 11, 2017, at The Beverly Hilton in Beverly Hills, Calif., the evening preceding the 59th Annual GRAMMY Awards. As part of the celebration, BET Networks Chairman and CEO Debra L. Lee will be recognized as the 2017 GRAMMY Salute To Industry Icons honoree for her significant contributions to the music industry. Sponsored by Hilton, Mastercard, JBL by HARMAN, and Delta Airlines, the invitation-only Pre-GRAMMY Gala has long been one of the music industry’s most prestigious events, having hosted the industry’s top leaders and welcomed the world’s most talented artists on its stage. For nearly 10 years, the gala has also included a presentation to honor industry luminaries through The Recording Academy’s GRAMMY Salute To Industry Icons Award. Past recipients include Herb Alpert and Jerry Moss, Irving Azoff, Martin Bandier, Sir Richard Branson, Clive Davis, Ahmet Ertegun, David Geffen, Berry Gordy, Lucian Grainge, Doug Morris, Mo Ostin, and Antonio “L.A.” Reid. “For this year’s GRAMMY Salute To Industry Icons Award, The Recording Academy is proud to honor the extraordinary Debra L. Lee, a groundbreaking figure whose innovative vision, commitment to entertainment, and philanthropic work have had a profound impact on the industry as well as our broader culture,” said Neil Portnow, President/CEO of The Recording Academy. 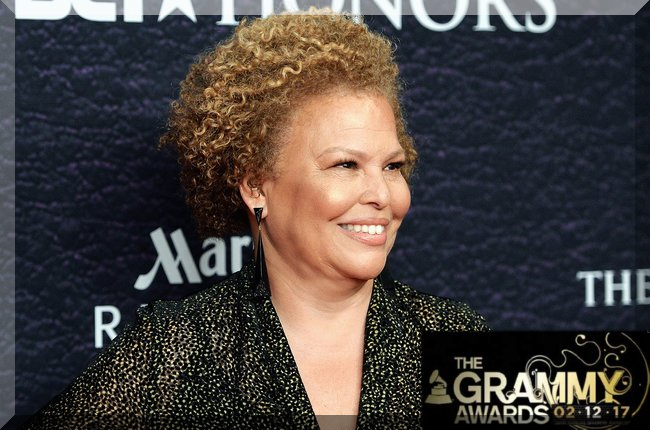 “I am thrilled that The Recording Academy is presenting BET Networks Chairman and CEO Debra L. Lee with this year’s GRAMMY Salute To Industry Icons Award,” said Clive Davis, co-host of the Pre-GRAMMY Gala. “It is such a tremendous honor to receive this year’s GRAMMY Salute To Industry Icons Award. Music is a part of BET’s DNA and it’s always been my goal to touch people by educating, inspiring, providing opportunity, and affecting real change through the powerful medium of entertainment,” said Debra L. Lee, Chairman and CEO of BET Networks. Recently inducted into the Broadcasting & Cable Hall of Fame, Lee is one of this country’s most respected business executives. As Chairman and CEO of BET Networks, the leading media and entertainment company for Urban-Americans and lovers of Urban culture, she is one of the highest ranking Urban-American women in the media industry. A graduate of the John F. Kennedy School of Government at Harvard University and Harvard Law School, Lee has led BET’s successful reinvigorated brand approach, creating quality programming that respects, reflects and elevates its audience, including hit shows: “Being Mary Jane,” “Real Husbands Of Hollywood,” the “BET Awards” and the upcoming three-night epic miniseries “The New Edition Story” airing in January. Prior to her appointment as CEO in March 1996, Lee served as the network’s executive vice president of strategic business development. In 2003 Lee was given the Distinguished Vanguard Award for Leadership from the NCTA — The Internet & Television Association, making her the first Urban-American female executive to receive the honor.